Strawberry, known as the “Queen of Fruits”, is rich in nutrients such as vitamins, carotene, citric acid, aspartic acid, copper, strawberry amine, pectin, cellulose, folic acid, iron, calcium, ellagic acid, anthocyanin etc. The content of vitamin C is 7-10 times higher than that of apples and grapes. The content of malic acid, citric acid, vitamin B1, vitamin B2, and carotene, calcium, phosphorus and iron is also three to four times higher than that of apples, pears and grapes. Although it is not big, strawberry is rich in nutrients, which promotes digestion and absorption, delays skin aging, improves eyesight and enhances appetite. Strawberries are shallow root crops. The roots are distributed in the soil depth of 0-30 cm (concentrated in 0-20 cm). 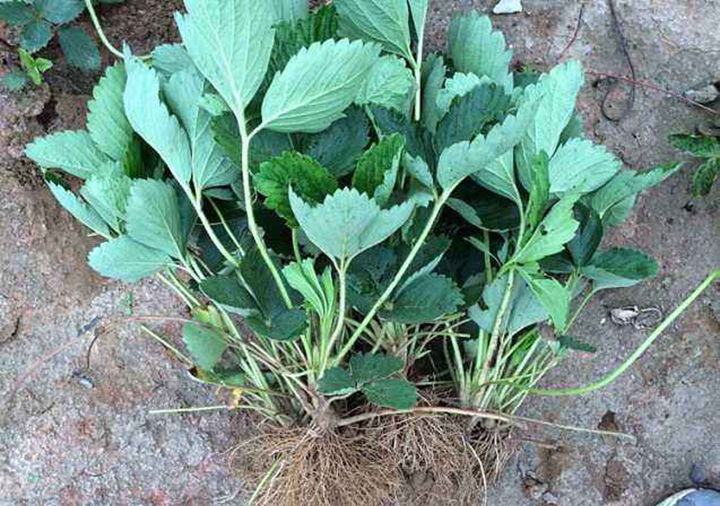 Lao Yu said that strawberry cultivation should pay attention to the application of base fertilizer. 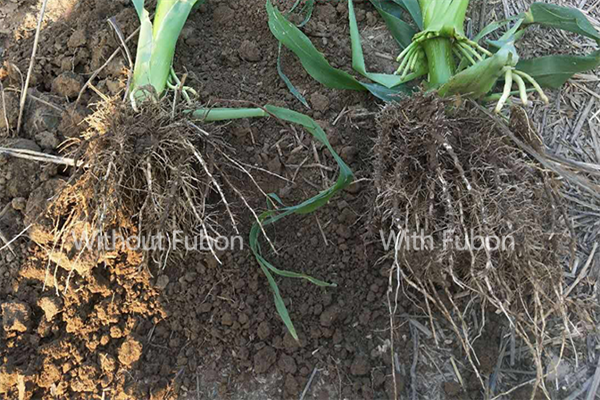 Applying 1 ton of Fubon 5% organic granules can loosen the soil, improve the water retention and fertilizer retention performance, and lay a good growth environment for the root system. 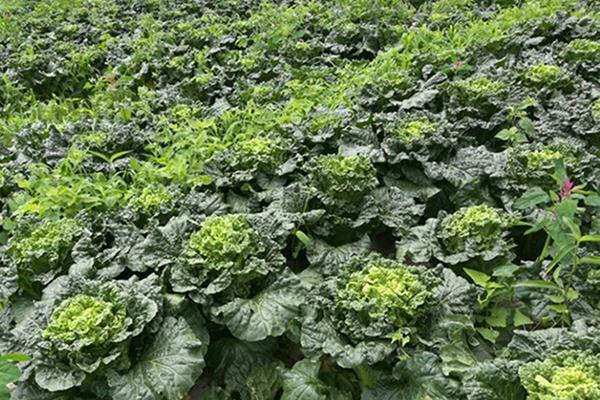 In addition, Fubon organic fertilizer contains a large number of elements as well as soluble sugars, organic acids, vitamins and other substances which provide nutrient support for vegetative growth. After the strawberry seedlings are planted, the water will spit in the leaves at night or in the warm and humid conditions. This can also be used as an indicator to determine whether the strawberry seedlings are going to survive. 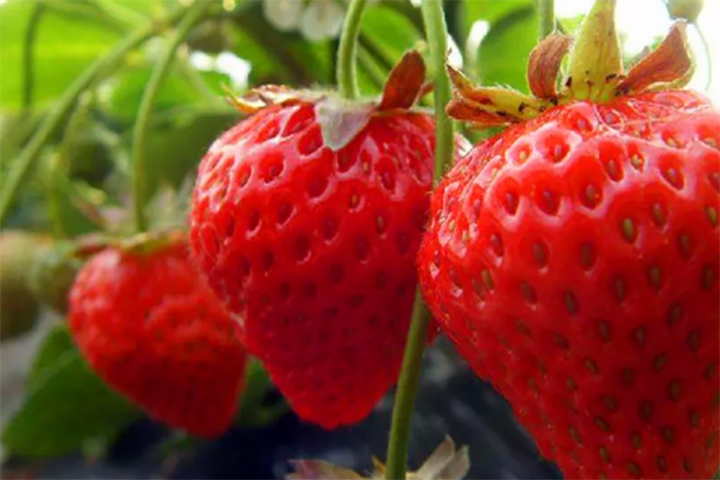 The reason why this phenomenon occurs is that under the condition of slightly lower temperature, the transpiration of strawberry leaves is small, and the moisture absorbed by the roots can only be discharged from the water holes of the leaf margin. When the temperature rises, the air humidity in the shed can drop rapidly after the air vent is released, the strawberry transpiration is enhanced, and the soil loses moisture quickly. 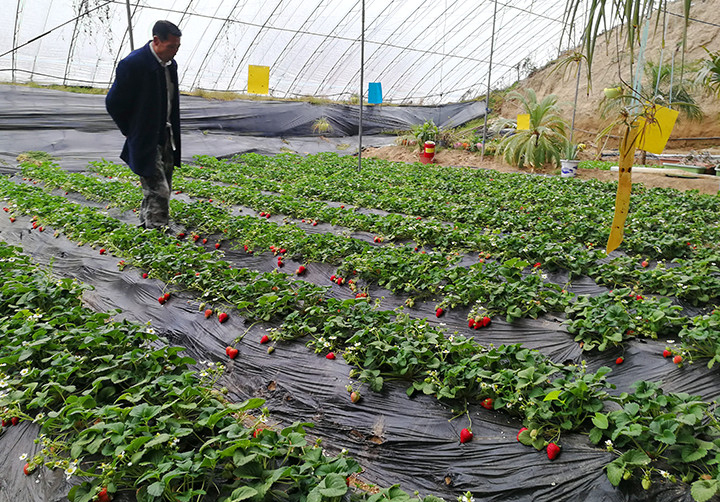 At the same time, in strawberry cultivation, in order to facilitate farming operations and reduce the occurrence of pests and diseases, high ridge cultivation is mostly used. Based on the above situation, the strawberry has higher requirements on soil moisture. 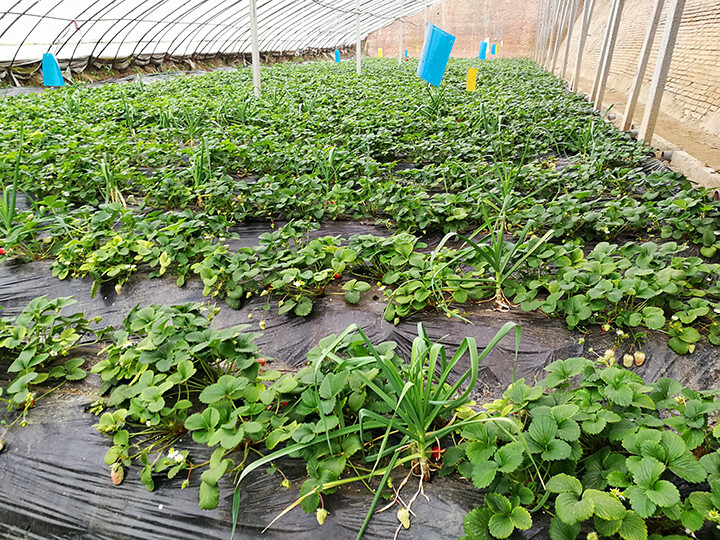 Lao Yu said after the regrowing of strawberry seedlings, the seedlings need to be watered with Fubon 10% organic water soluble fertilizer, 10kg each time, every 10 days, which can supply the nutrients needed for the growth while supplementing the soil moisture. The natural antibacterial substances contained in garlic can not only remove pests, but also have a strong odor. When combined with the aroma of strawberry, it can combine a unique aroma. At the same time, hanging blue plate and yellow plate, which makes use of the phototaxis of pests such as whitefly and aphid can achieve the purpose of insects catching. The raw materials of“Fubon” 5% organic fertilizer (granule) are natural and rich in organic matter and various nutrients. 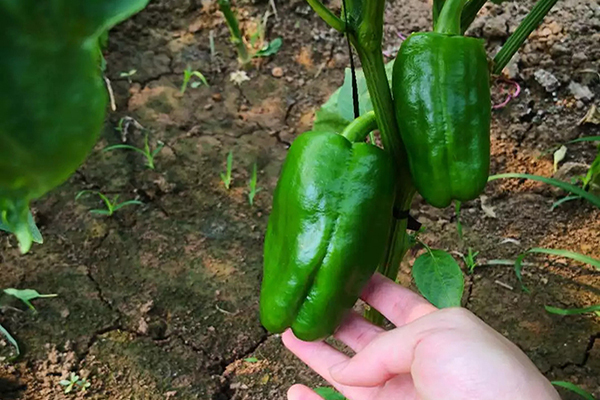 Among them, yeast fermented protein, small molecular organic matter and other special substances can improve soil, promote crop root growth and improve agricultural product quality.